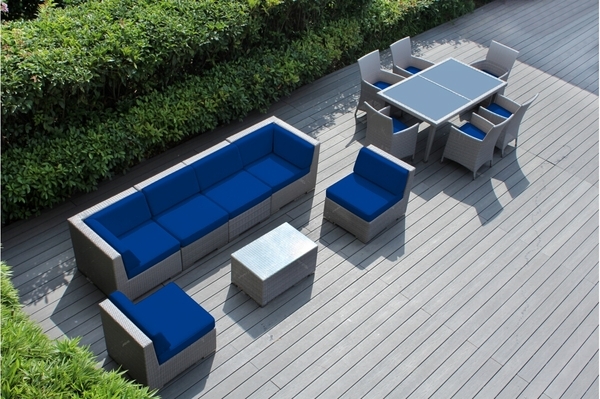 This 14 piece (pnc1401) outdoor patio furniture set from Ohana Collection has all the essential pieces you need for ultimate outdoor space. 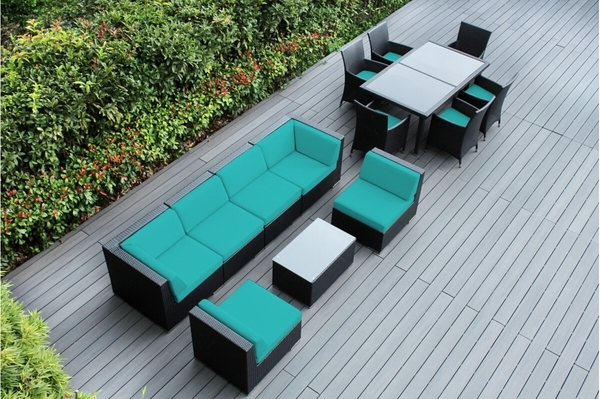 The patio furniture set is constructed with top quality all-weather PE resin wicker hand-woven around rust-free powder coated aluminum frame to withstand the elements. 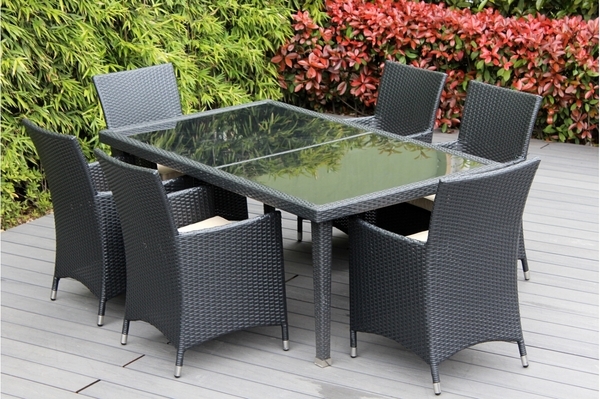 Tempered glass tops wicker dining table and dining chairs have arms for easy sitting. 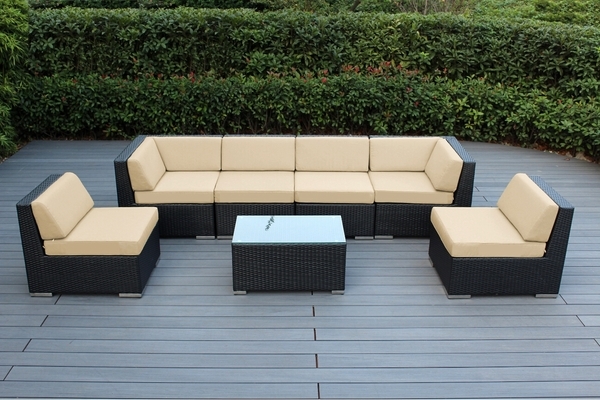 weather resistant cushions are meant for outdoors and are zippered. Configure this patio furniture set to suit your outdoor space or use as shown. 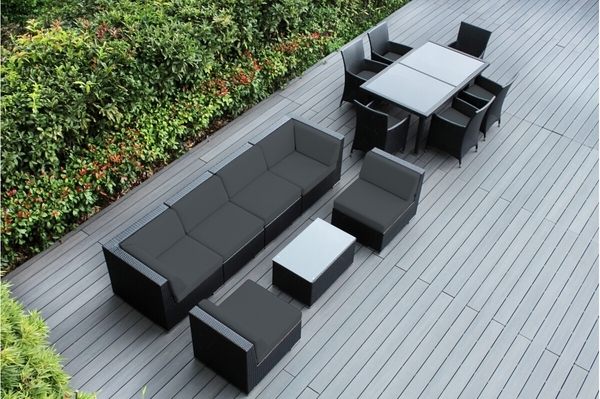 You'll love this patio furniture set. 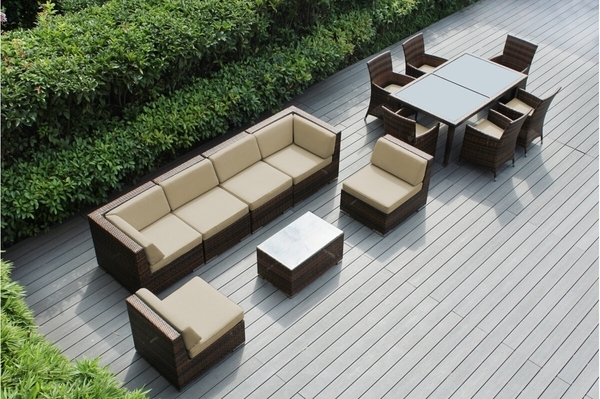 All Ohana Collection patio furniture sets are made and sold exclusively by Ohana Depot. SPECIAL: Get Extra 25% Off with Code ' DEAL25'. This code can not be combined with any other offer. 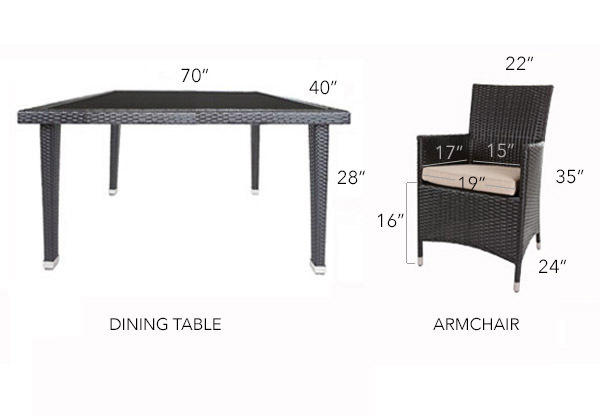 Dimensions - refer to size drawing. Dining table size: 70 in. x 40 in.